Right on time after the controversy created by Tarantino's unrealistic depiction of slavery in Django Unchained, a new documentary film brings a full dose of reality while telling the story of Kunta Kinteh. Kunta Kinteh Island: “Coming Home Without Shackles" is the true tale of a west African hero, from his enslavement to the renaming of the Gambia’s James Island to “Kunta Kinteh Island.” James Island was a holding cell for slaves during the Trans-Atlantic Slave trade, this is where Kunta Kinteh was held captive for 15 days before he was transported to "The Americas". After the novel Roots: The Saga of an American and its TV series adaptation, it was about time we get the real story from the Kinteh's descendants who still live in the Gambia. Lamine F. Ceesay, the 9th generation grandson of Kunta Kinteh, and other Kinteh family members bring to light the life of their ancestor in Africa. The documentary features actor Ben Vereen, who played Chicken George in Roots, in the dramatic role of a grandfather who narrates his family story to his grandson. Also, Chaz Guest, who suggested renaming James island, and Jermaine Jackson are interviewed. Kunta Kinteh Island: “Coming Home Without Shackles" was shot in the Gambia during the Roots Festival in February 2011, when James island was officially renamed Kunta Kinteh Island. 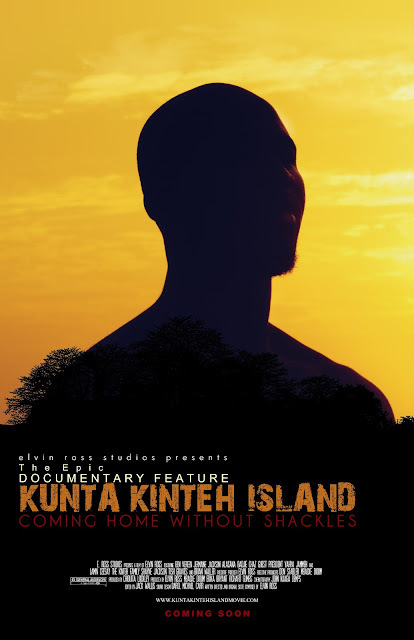 Produced by Elvin Ross Studios, Kunta Kinteh Island: “Coming Home Without Shackles" was made to educate young African Americans about their history and their African heritage. New Orleans will host screenings of the documentary film, on February 25 and 26. Tyler Perry, CEO of the National Urban League Marc Morial, and many other influential figures have expressed their support for the project. Many more screenings should take place in the following months. The movie is also available to preorder here.